Taraba State Governor Darius Ishaku has supported the calls for the establishment of state police in the country. He revealed this on Sunday in a meeting with a presidential aspirant on the platform of the Peoples Democratic Party (PDP), former President Atiku Abubakar, at the Government House in Jalingo, the state capital. In the face of the herdsmen-farmers crisis, the governor was confident that creating state police would go a long way to tackle repeated killings and bring criminality to the barest minimum in the country. “We must keep the country as one and in peace and, therefore, as of a necessity, some structural defence must have to be amended,” he said. Governor Ishaku added, “I’m sitting here as a governor, but I cannot control one troop. In America where we copied the constitution, there is state police, there is local government police, and there is federal police. 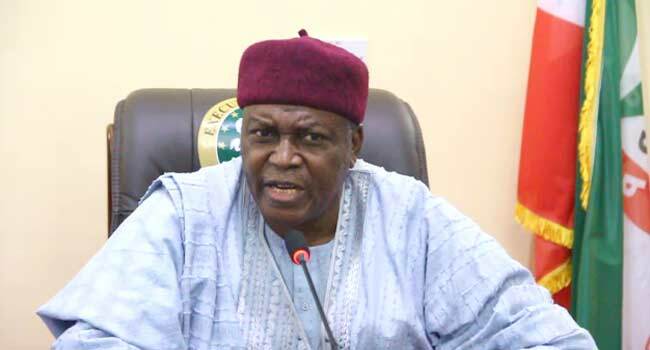 The governor said he was frustrated over the security situation in Taraba despite the effort of the police, noting that it has crippled the development of the state. He described the inability of the state to deal with the challenge as very worrisome, stressing that the governors in states affected by the killings were rendered helpless. “How will you be as they call you an Executive Governor, executive of what? We are handicap, we are toothless lame bulldogs,” Ishaku said about the governors. Governor Ishaku further thanked the lawmakers in both chambers of the National Assembly for their effort towards the creation of state police. He, however, urged them to hasten the process which he said would “give teeth to our sitting here” and “arm us to stop these senseless killings that are going on”. “Can you imagine a man with a family of 10 in the village who doesn’t even know what governance is about, what he does is to plant yam and corn to feed his family and then somebody comes with an AK47 and liquidate him out of this world. “It touches some of us in our hearts and I think as a human being, even if your dog is killed for doing nothing you feel the pain let alone human beings,” he lamented.